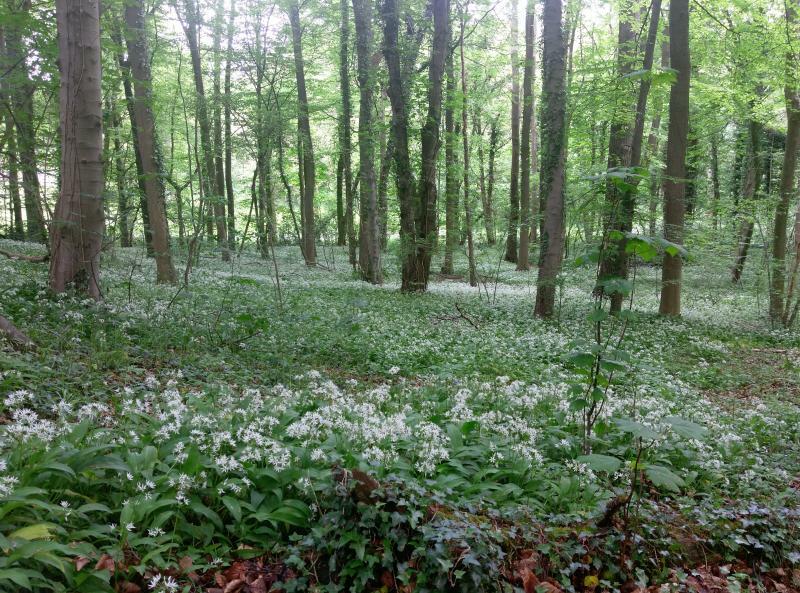 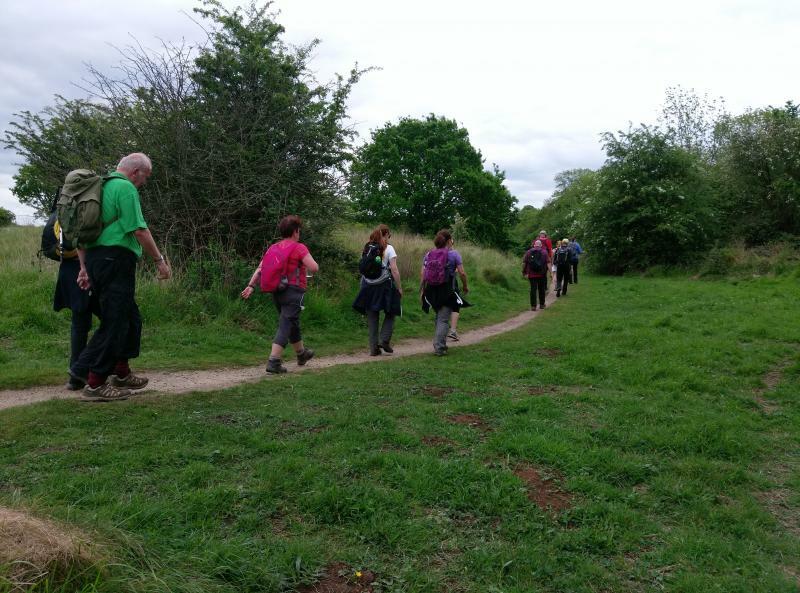 15 walkers (11 members with 4 visitors) met at Kiverton Park community woodland car park on what promised to be a lovely walking day. 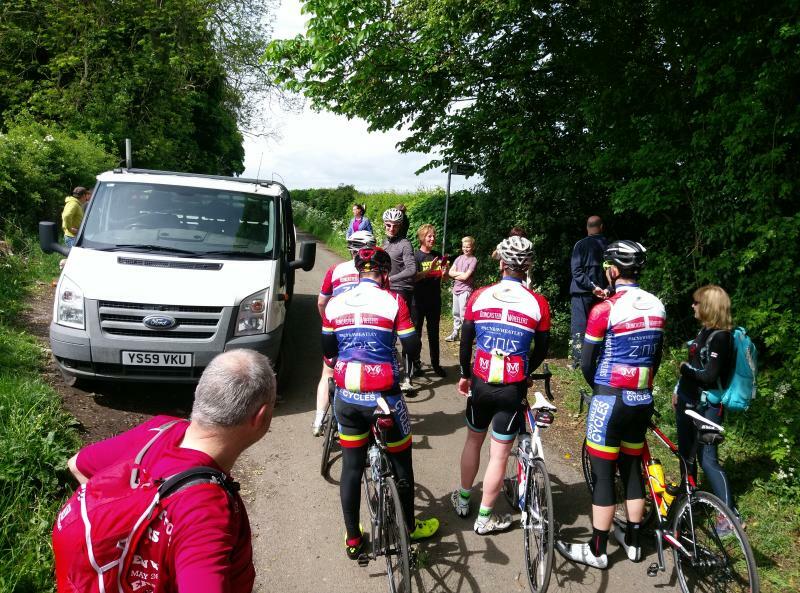 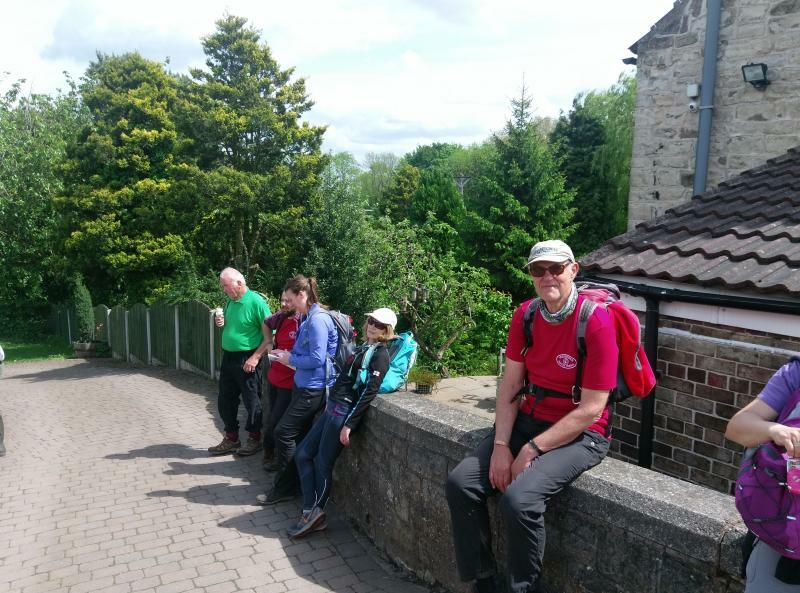 It was great to have Tom and John with us again but unfortunately after a couple of miles John did not feel too good so returned to the car but John continued with us. 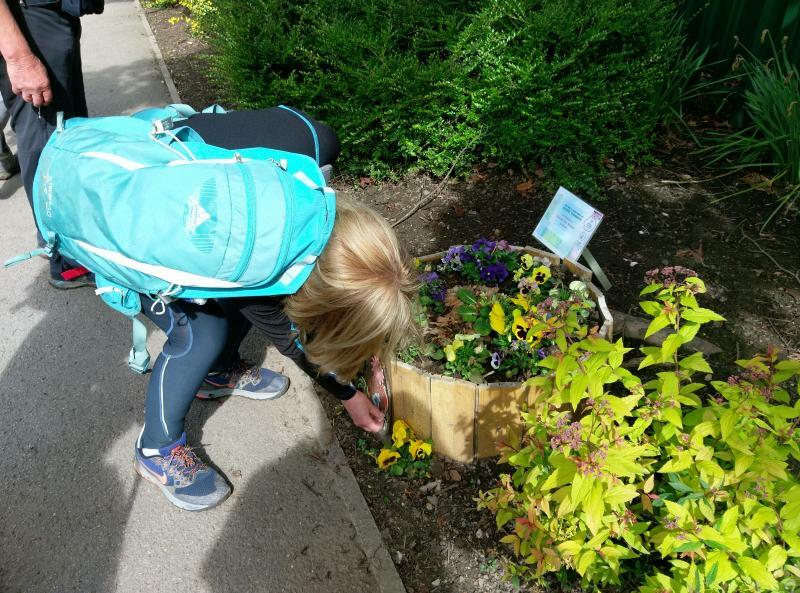 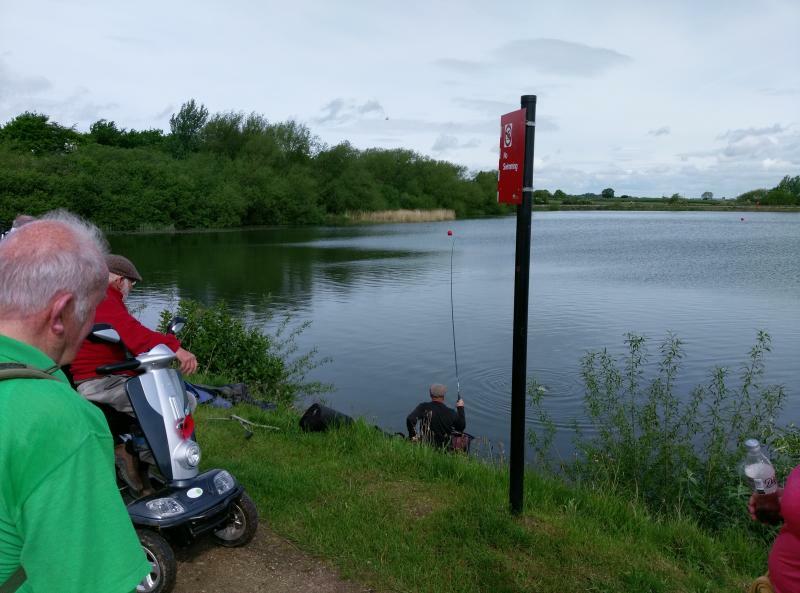 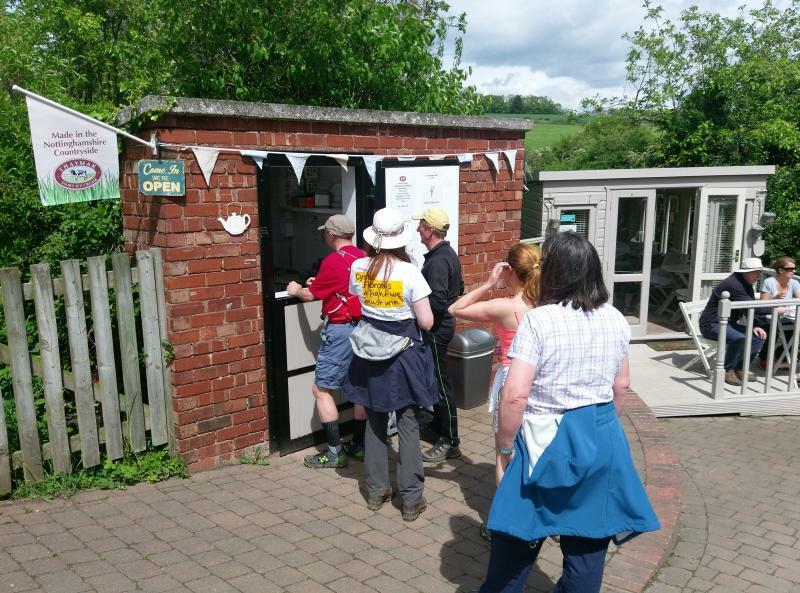 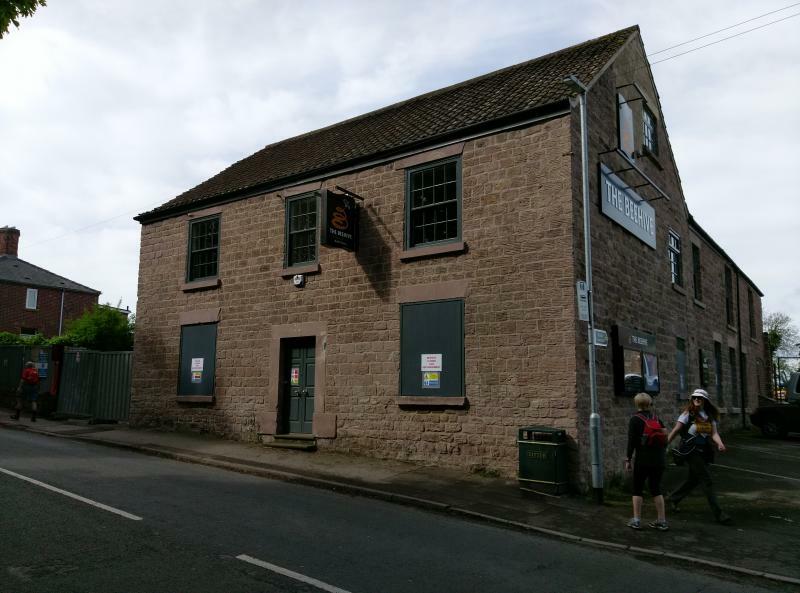 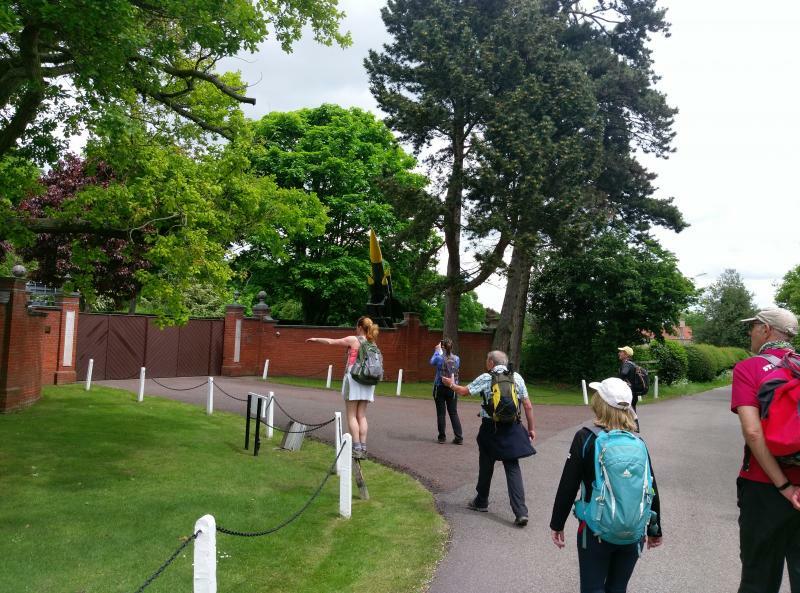 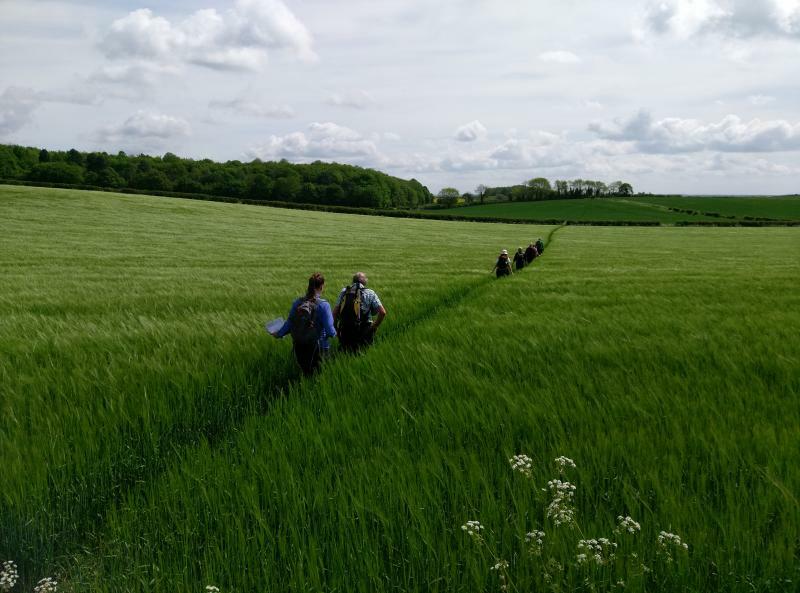 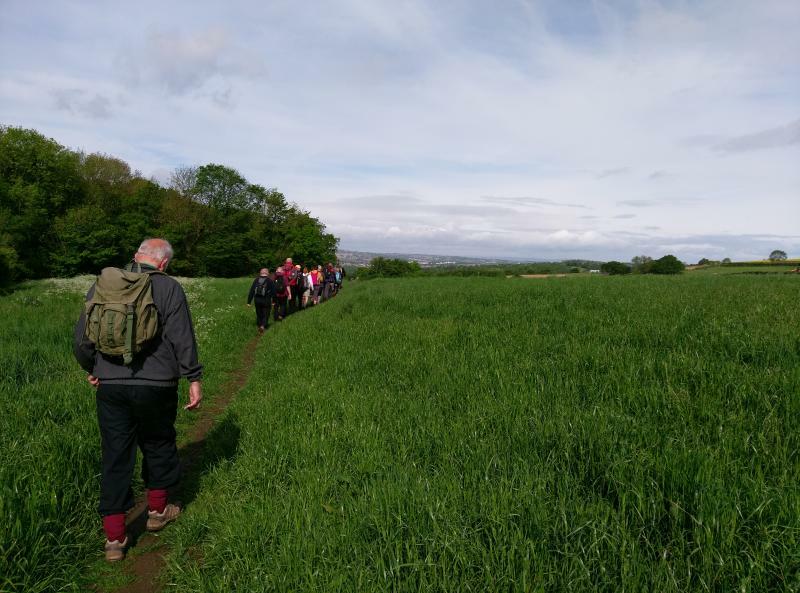 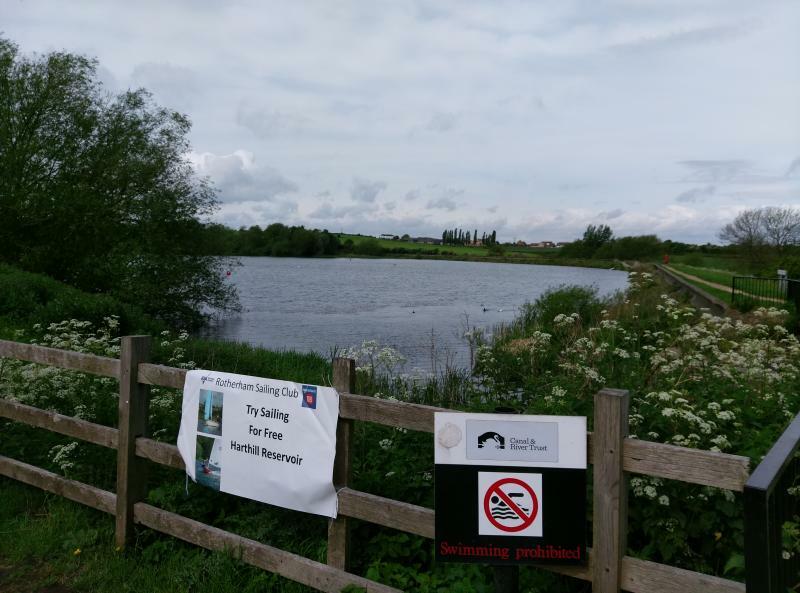 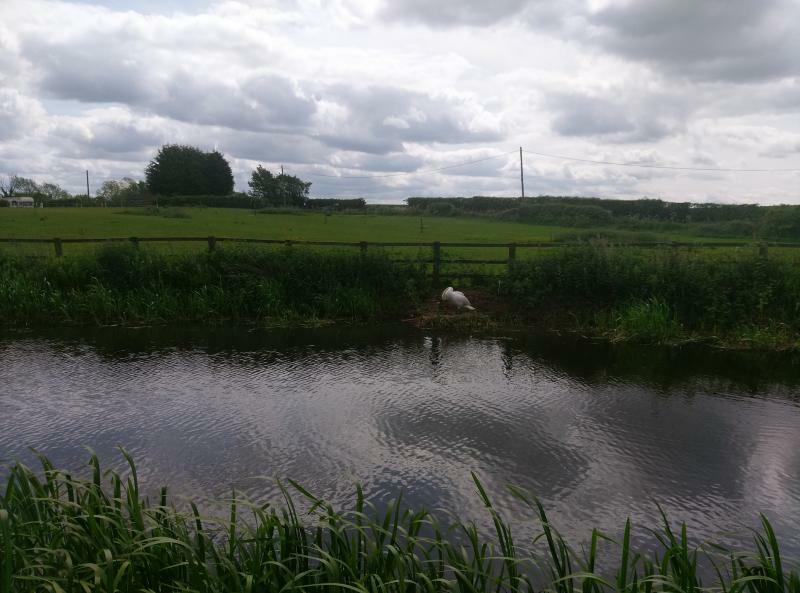 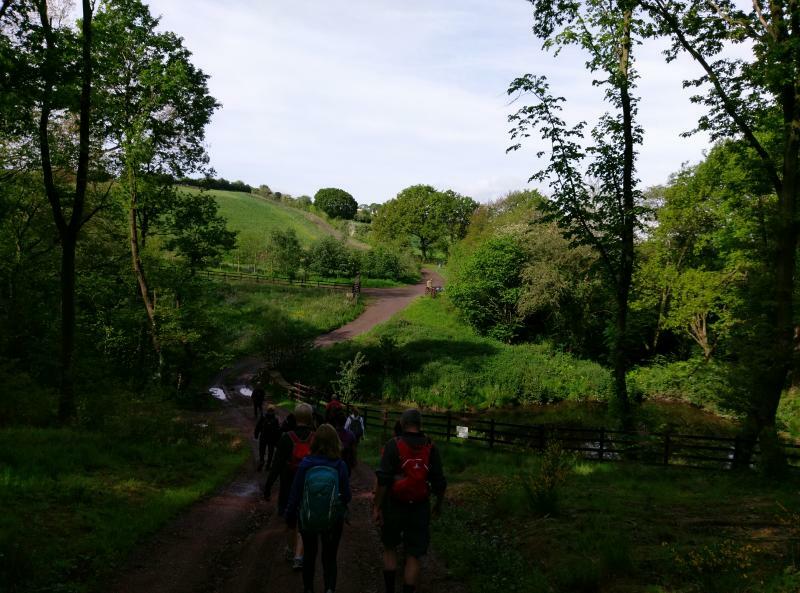 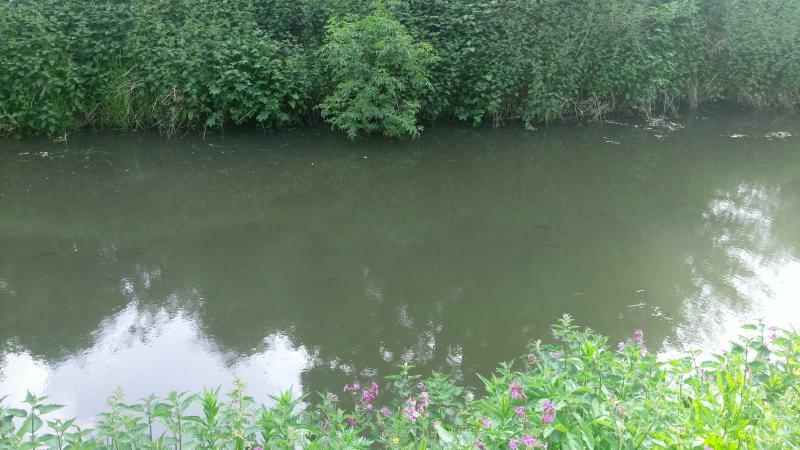 We continued on through lovely countryside and made our way towards Harthill past the Beehive pub where we normally hold our AGM and walked towards Harthill Reservoir where Sally trains for her cross channel swim. 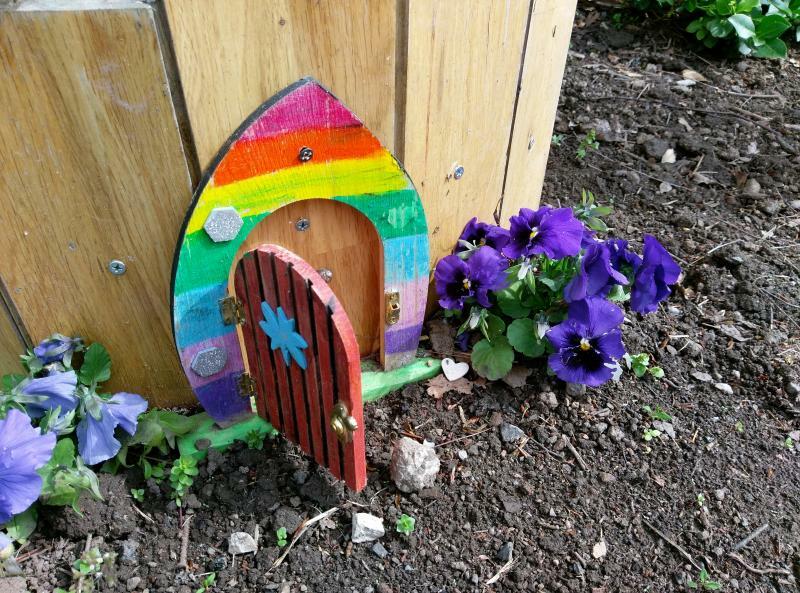 On the way we walked past wooden plant pots with little fairy doors but alas no fairies at home and then around the reservoir and to our surprise watched a fisherman catch a four pound bream, a rare event. 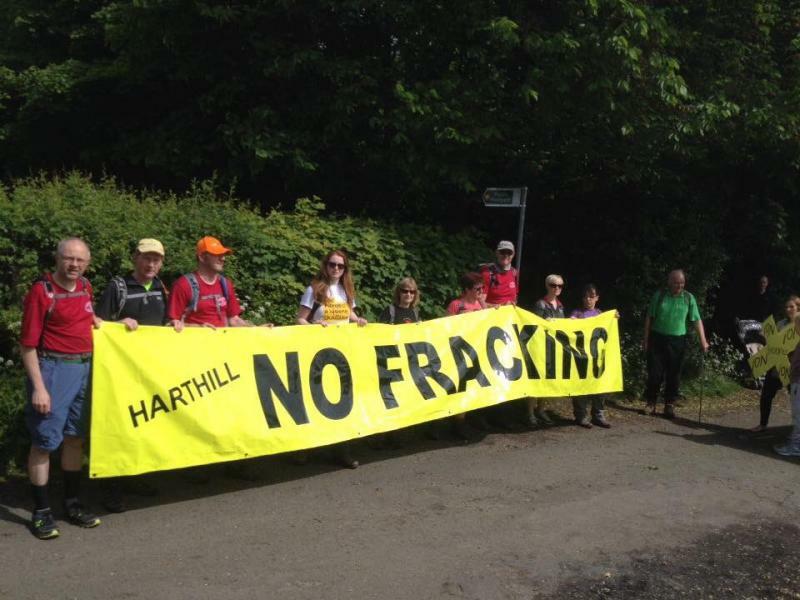 We continued on towards Thorpe Salvin and walked into an anti-fracking demonstration, obviously they didn't want cheap energy or was it not on our doorstep? 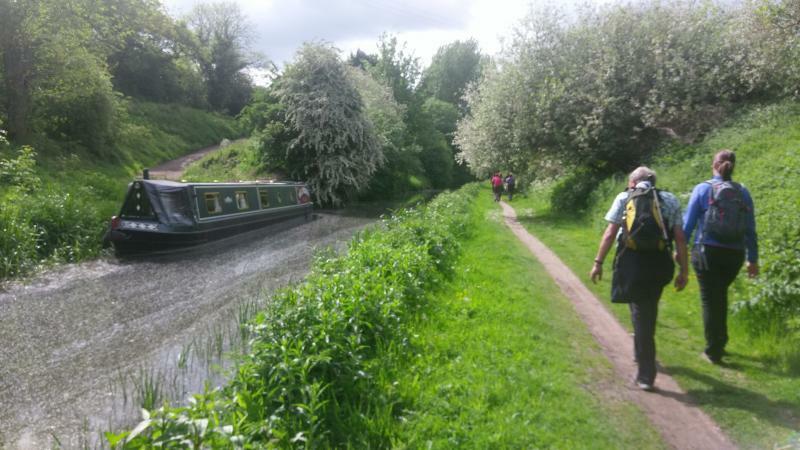 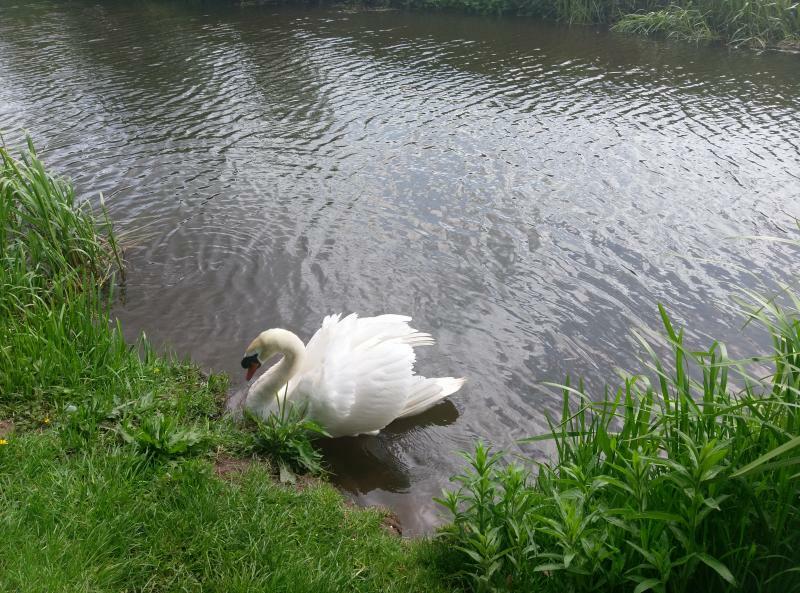 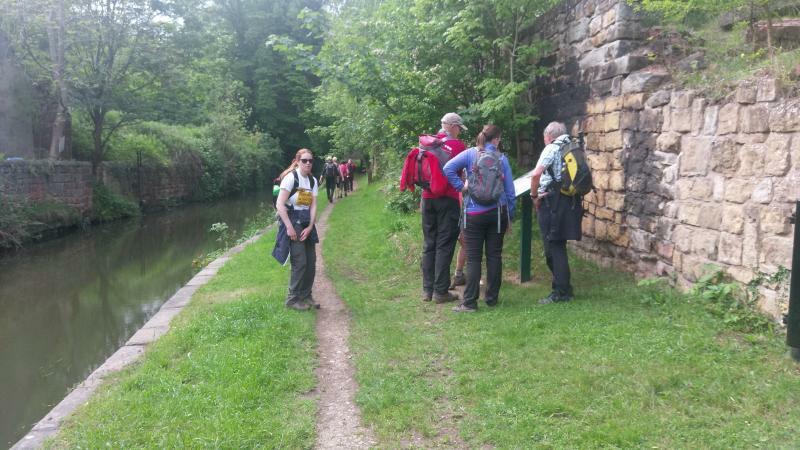 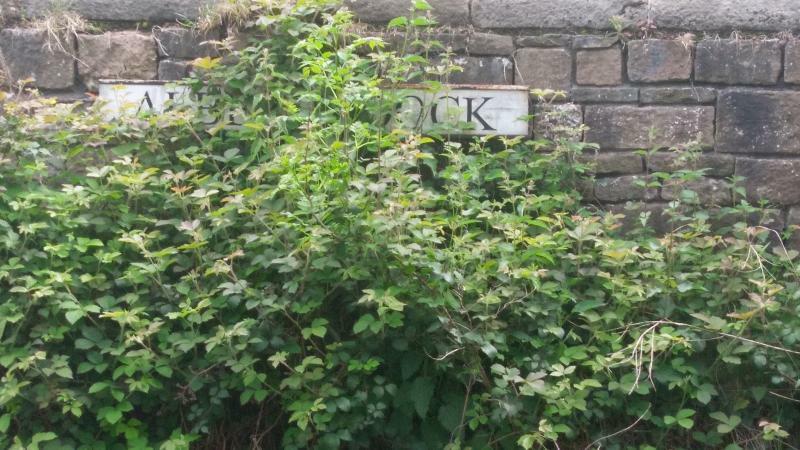 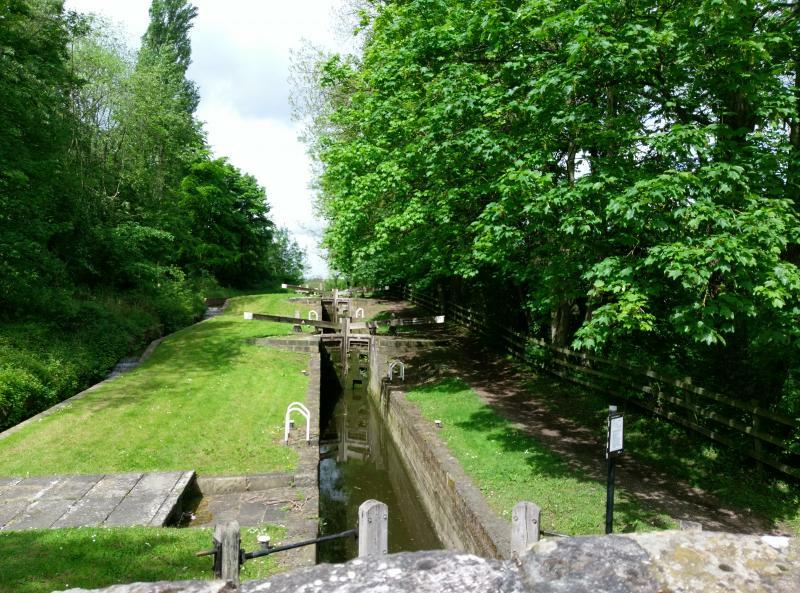 We moved on to the lovely Chesterfield canal, the Cuckoo Way, walking past the restored locks was great and then we past a nesting swan and on to Turnerlock where most enjoyed an ice-cream in the sun at the side of the canal, can it get any better?. 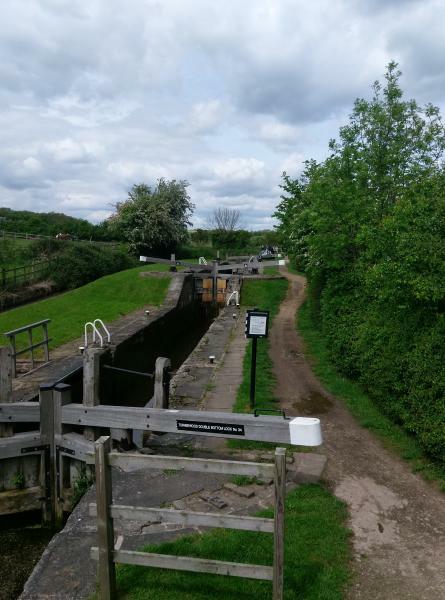 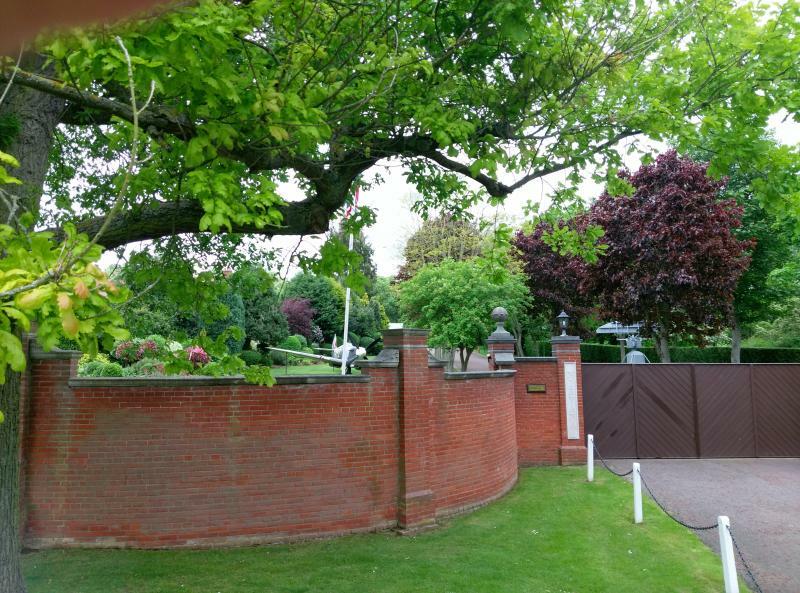 We left the canal and made our way towards Woodsetts and past a large house big on security with a Spitfire, surface to air missile and a radar system in the front garden and then arrived at the Butchers Arms for refreshments. 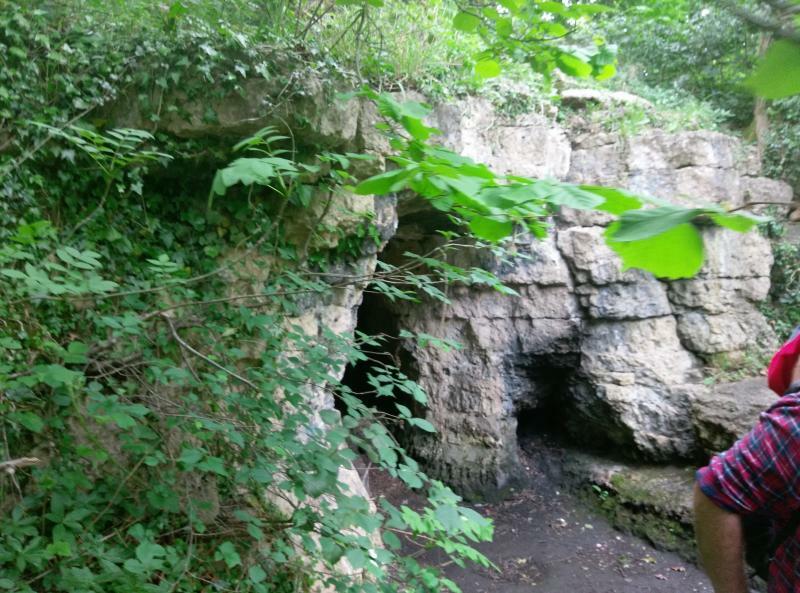 Suitably refreshed we continued on through Aston woods, found and explored Dead Mans Cave, a cave used by early man and on to Anston. 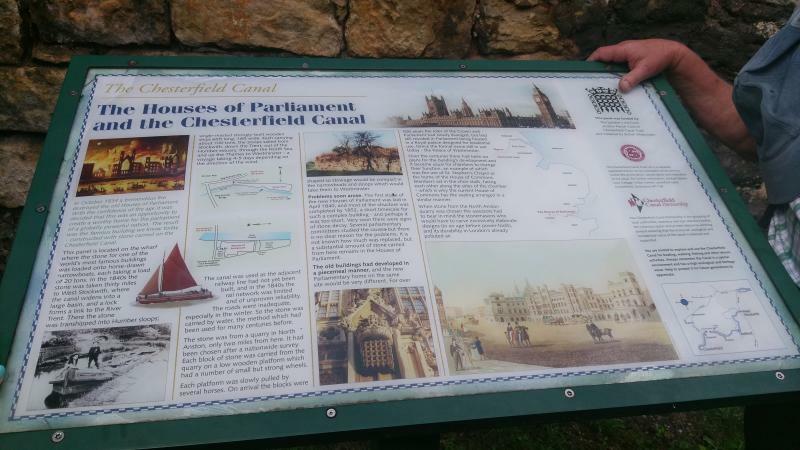 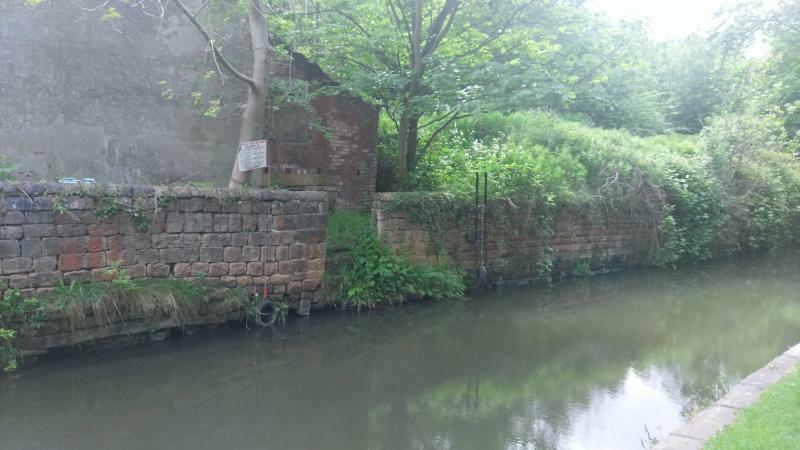 We then made our way back to the canal observed where local stone was loaded to repair the damaged Houses of Parliament and then to the end of the present canal back to Kiverton Park and back to our starting point. 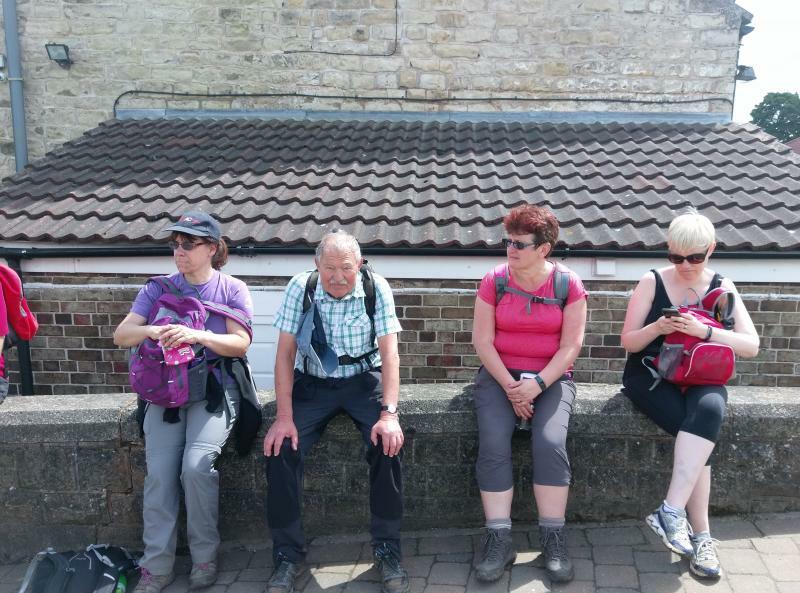 What a great walk, thanks Karen.